Experience Atlantic Canadian island life on this little corner of heaven called Grand Manan. Let a relaxing ferry ride watching for whales and seals take you here, and then spend your vacation in our cozy, 3-bedroom home with lighthouse views and just steps away from the ferry, trails and beaches. We'd love to have you. Nestled between the Bay of Fundy and the Gulf of Maine on the Atlantic Coast, Grand Manan, New Brunswick offers a vacation that can be as low key or as adventurous as you want to make it. This little island with a big spirit welcomes you to experience life a little simpler. Take the 90-minute ferry ride from Blacks Harbour, New Brunswick and start your vacation by taking in the beautiful views from the ferry's upper deck and keep your eyes peeled for the whales that frequent the waters along the way. A perfect relaxing start to a lovely vacation. Imagine looking out the window each morning to views of the Swallow Tail Lighthouse. Take your coffee and wander just steps down this dead end road to the beach and watch the sunrise on the beach. 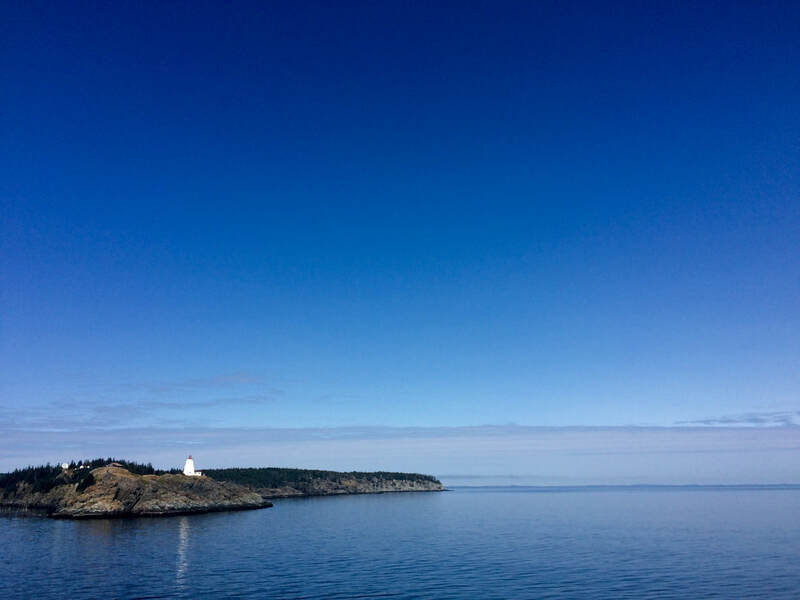 You will not regret your visit to Grand Manan.